Does the job and tastes OK. Reasonably priced mid-afternoon snack to get me through my evening workout or ride. 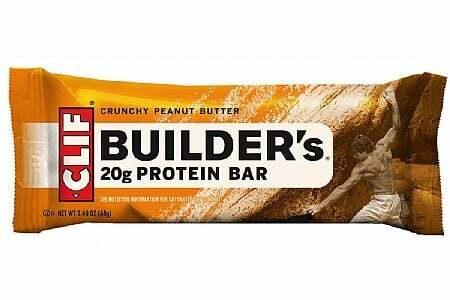 I eat Clif Builder Bars after rides and workouts. Having protein directly after strenuous workouts helps build muscle. Builder bars are a convenient source for that protein and they taste pretty good, too. I like cookies and cream. I've been trying various types of protein bars to try and maximize my recovery after longer rides (4 hours) and moderate hikes (6-8 hours) and find the Clif version kind of heavy compared to some others I've tried. The texture is pretty much what you'd expect from a protein bar, and the taste is ok, but I have trouble getting through a whole bar without my stomach feeling like it'll explode. These bars taste pretty good--not as sweet as a candy bar--and are mostly real food. I'm personally fond of the Cookies N Cream flavor.